Cover to The Multiversity #1 courtesy of DC Comics. Art by Joe Prado and Ivan Reis. Happy new book day, everyone! A lot of news came out of San Diego Comic-Con this year, and quite a bit of it is relevant to this column. As I’ve announced previously, Batman shall always form the core of these posts, but extending my critical gaze over the breadth of the DC Universe is useful from time to time, especially with how much I have leaned on DC’s multiverse in several of my posts without fully explaining it. Due to Grant Morrison’s presentation last week on his upcoming Multiversity series, that task is made significantly easier. Image of the multiverse courtesy of DC Comics. Click for larger image. 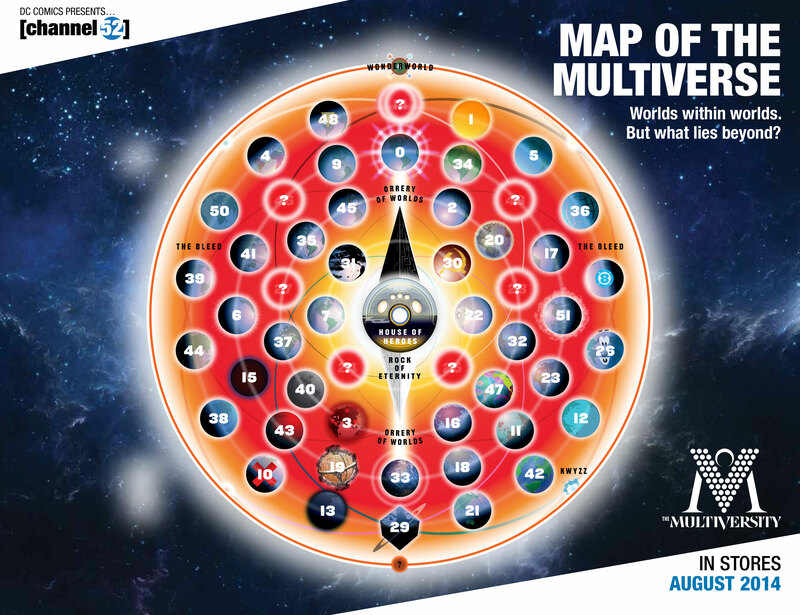 Here, we see the official map of the New 52 DC Multiverse, courtesy of DC Comics and generated primarily through Morrison’s imaginings. This is a close-up of the 52 universes of the Orrery of Worlds itself, which is the network of universes under observation by the nearly omnipotent Monitors. Also note that the spaces between universes is labeled as the Bleed, as readers of Warren Ellis’s Planetary and Morrison’s Final Crisis are already aware. 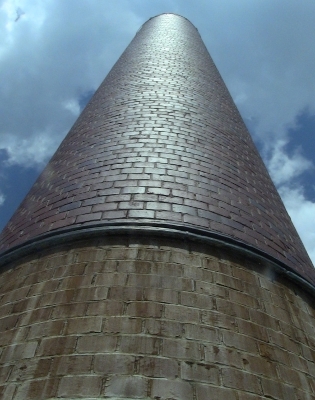 To begin, I wish to draw your attention to a few established worlds. First off, the primary universe in which nearly all of DC’s stories are set has traditionally been considered Earth 0. Though several new standalone stories bear the Earth 1 label, it is unclear if they are actually set in the Earth 1 listed above. Earth 2, also the site of its own stories, was originally the home of DC’s misfit (and elderly) Golden Age characters, but now has a cast of superheroes as young as those present in its primary narrative universe. Earth 3, now destroyed in the New 52, was revealed recently to be the backwards universe playing home to the evil counterparts of the Justice League known as the Crime Syndicate. This last point factored heavily into the recent Forever Evil storyline by Geoff Johns and will likely remain an important event for some time. There are also several worlds that have not been officially designated but are easy to pick out or have not been changed overmuch since the onset of the New 52. It has been rumored that the Charlton Comics characters DC purchased in the 70s (Captain Atom, Blue Beetle, the Question, etc.–the inspirations for the characters in Watchmen) will factor into The Multiversity, and that world has traditionally been labeled Earth 4. Additionally, based on its cubical appearance in the image above, I would hazard a guess that Earth 29 is Bizarro World. 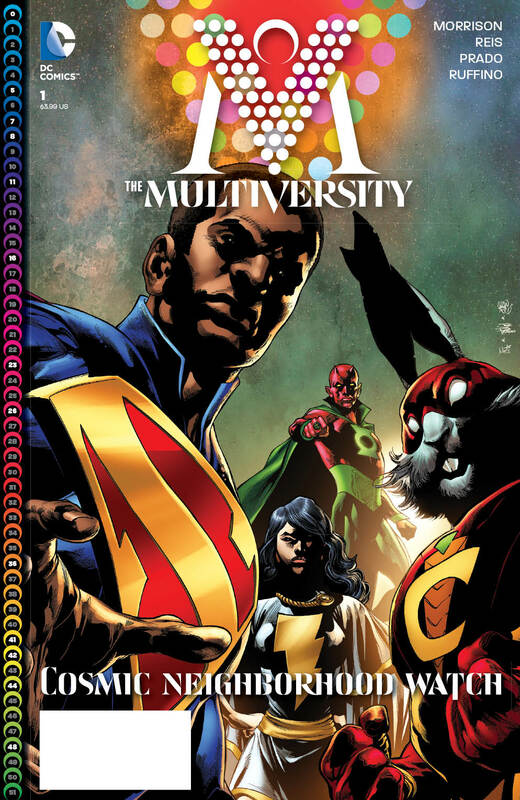 Other worlds and characters that will play a large role in The Multiversity include Earth 23 and its Obama-analogue Superman, as well as (a likely unchanged) Earth 26’s Captain Carrot—an anthropomorphic rabbit superhero. A final note on the many Earths mentioned here: even higher on the cosmic numbering scale than Earth 0 is Earth Prime, the world of DC’s audience. That’s right; even the real world—a world that sees everything else here as simple myth—is a part of the celestial ordering. Taking another step out to offer an even broader look at the multiverse, DC also provides us with this image of the godly realms that lie over the physical universes themselves. 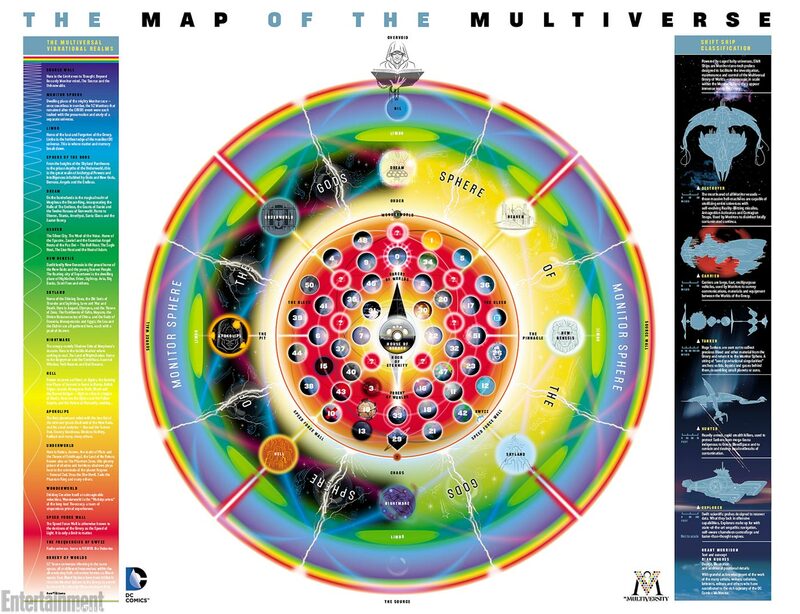 More expansive view of the multiverse courtesy of DC Comics. Click for larger image. In this image, you will not only recognize such (fairly) universal concepts as Heaven and Hell, both fully established in the DCU, but also New Genesis (ruled by the benevolent Highfather) and Apokolips (enthralled by the god of all evil, Darkseid) of Jack Kirby’s Fourth World masterpiece. Careful viewers will also notice traces of Neil Gaiman’s Sandman present—note Destiny of the Endless at the very top of the image and the realm of Dream beneath him. And there are many, many more worlds that have not been officially named in the New 52 as of yet, though there have been several incarnations of the DC Multiverse already. Further, there are many stories that have accepted numerical designations (or other titles) seemingly for the purpose of setting them apart from the main DC Universe. These include Milestone Comics (or the Dakotaverse), the older DC Animated Universe (Earth 12), the Vertigo Universe (Earth 13, now fused with Earth 0), the Wildstorm Universe (Earth 50, also now fused with Earth 0), and Earth 19 (the setting of Gotham By Gaslight). Additionally, many successful standalone stories have also been granted their own universes, among them Darwyn Cooke’s New Frontier (Earth 21), Kingdom Come (Earth 22), Superman: Red Son (Earth 30), and Batman: The Dark Knight Returns (Earth 31). This has been a basic introduction to several universes at play in the DC cosmic narrative. I’m very thankful for the new visual aids to help along such a presentation. What do you all think of this so far? Are any of you confused? Please feel free to leave questions or concerns in the comments below and I’ll do my best to clarify things. I plan on doing more with this concept in this column, so hang onto this post as a convenient reference. Don’t forget to follow my personal blog over at quaintjeremy’s thoughts and/or tweet me @quaintjeremy.